Creating clickable images on your Facebook page is a great way of directing traffic to your website, blog or other social media accounts. The good news is that this is very easy to do and requires no specialized tools or skills. All you need to create clickable images is the URL you want to link to and the images you want to turn into clickable links. If the images are already available on your website or blog, it’s even simpler. Copy the URL you want to link the images to into your post. All of the valid images on the page will then automatically appear in the post. If there is more than one image on the website page, you will see arrows to the left and right allowing you to scroll through the images. If you want to include all of these images in your post just delete the link at the top and hit publish. Viewers can also scroll through the images and each will link back to your website. (Please note that not all images on websites are valid and will appear in the post. If the image you want to use does not appear, please see step number 3). 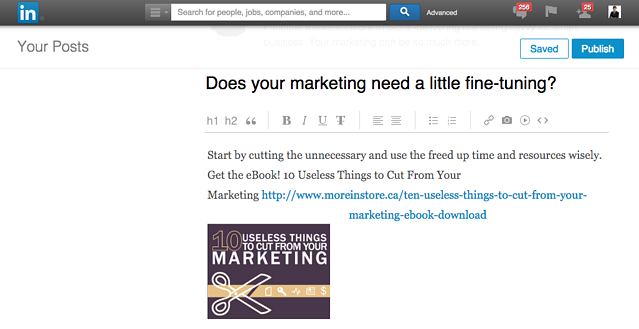 If you only want to include one of the images from the linked address with your post, it’s just as simple. After you’ve copied the URL into your post you will notice smaller numbered boxes with duplicates images beneath the larger images. Click on the pictures you don’t want to include and the numbers in the boxes will disappear until you are left with just one numbered box. This is the clickable image that will appear with your post. Again, you just need to delete the URL at the top and publish. Depending on the size of the singe image it will sometimes appear as a smaller image next to text from the website or a large image with text underneath. Alternatively, you can click on the boxes to change the order in which multiple images appear. Sometimes you will want to add different clickable images to those that are available on your website, blog or the site you’re linking to. This is also quite easy to do. Next to the numbered boxes at the bottom of your post will notice a blank box with a cross in it. When you click on this box it will allow you to select another image to upload. Each time you upload an image another blank box will appear to add more images. You can then choose which images you want to use and the order you want them to appear. Clickable images are excellent for creating interest and fostering interaction. This user-friendly feature is very helpful in directing the right kind of traffic away from Facebook and towards your website or blog where brand awareness is developed and sales are made. Marketing has always been an extremely important component of a lasting business, both online and offline. You must always be searching for the most effective ways to attract new customers and retain current ones. Unless you gain a spot on "Ellen" you'll probably always need to plan for to opportunities to market your business. That's where inbound marketing comes in. Strategic Inbound marketing powered by HubSpot, is a way of attracting leads and customers to your business, rather than you constantly prospecting and trying to bring customers to you. 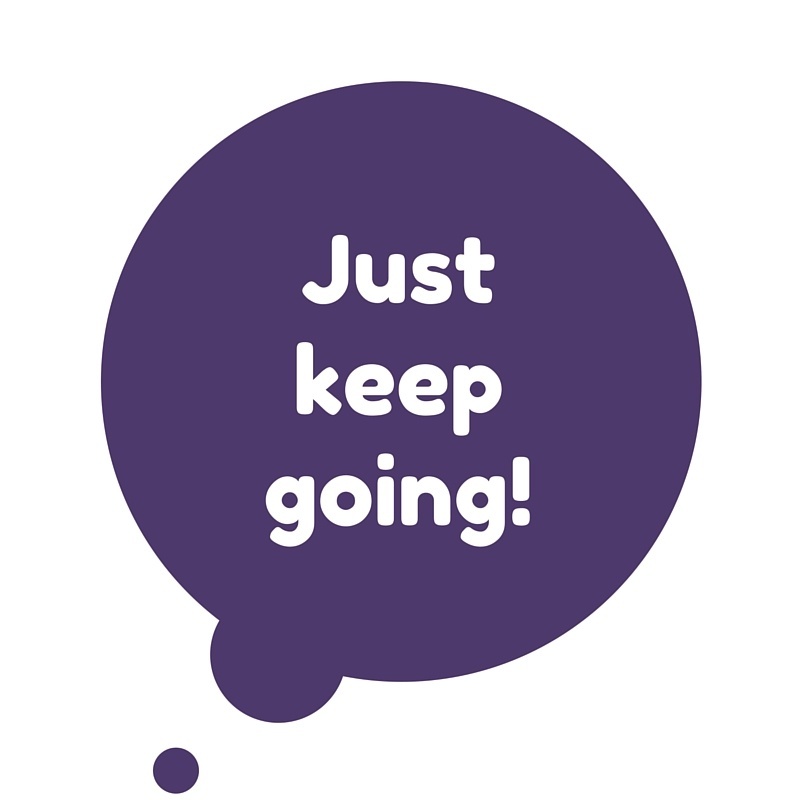 But like all marketing efforts, inbound marketing takes time to see results. It's natural to want to see results right away, no matter what your approach to marketing. The question is, how long do you have to wait before your inbound marketing efforts pay off? If you're wanting to hear, 'right away' you're in for a disappointment. All marketing methods take time to pay off, and inbound marketing is no exception. The good news is you will likely see results faster than traditional methods. Like anything else, you get out what you put in. So, the more effort you put into an inbound marketing method, the faster you'll gain more leads and ultimately, more sales. On average, businesses using Inbound Marketing saw more than 4 times more visitors per month over a year than with traditional marketing methods. More than 72% of business owners saw an increase in sales over one year. The true advantage of an inbound marketing strategies is that it is based on a solid SEO strategies and work on SEO pays dividends in the long run. With PPC (pay per click) marketing, you can get your site on the first page of Google, and get more social media fans and followers; but as soon as you drop the ads or stop paying for PPC you will quickly sink back down to the bottom. With inbound marketing techniques, you have a solid SEO campaign that will put you on top and keep you there. So, the answer to the questions, "How long does it take for inbound marketing to pay off?" 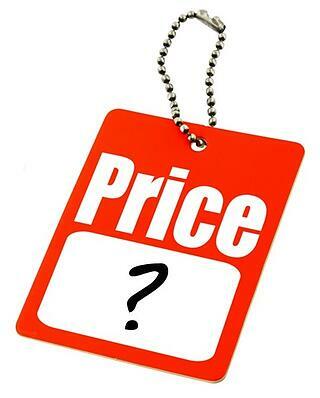 is a tough one to answer; but, it will pay off much more quickly than any other marketing method - period. How Does Certification Help the Client? Marketing is important, so much so that businesses need to exercise considerable care in making sure that their chosen marketers possess both the expertise and the experience needed to market their products and services in an efficient and effective manner. However, choosing a capable marketer is much easier said than done, though there are various methods that businesses can use to narrow their options. For example, the right certification from the right organization can be useful for separating capable marketers from their not-so-capable counterparts. After all, so long as the organization can be trusted, certification means that the certificate-holder has met all of its standards to be considered capable of performing in their chosen field. Given the importance of marketing, it should come as no surprise to learn that there are a wide range of organizations offering a wide range of marketing certificates. Like its name suggests, Inbound Certification serves as an introduction to inbound marketing as well as a simple and straightforward primer for the fundamentals of the concept. It covers things such as creating good content, creating good landing pages, and nurturing leads. Inbound Certification is a fairly easily achieved certification but it provides certificate-holders with a firm foundation to build on. In contrast to Inbound Certification, HubSpot Certification focuses more on Hubspot's software platform, passing on best practices as well as explaining how each of those best practices fit into inbound marketing. This means that its certificate-holders can be expected to not just know how inbound marketing should be done but also how the software platform should be used as an integral part of a business's inbound marketing. If HubSpot Certification focuses on how Hubspot should be used, HubSpot Partner Certification focuses on how HubSpot should be used for the sake of the client. As a result, it includes topics such as package services, price services, provide services, and ensure excellent results as measured using quantifiable metrics. In other words, certificate-holders can be expected to know how to ensure client satisfaction in the course of assisting them with their inbound marketing. Summed up, if businesses want a capable marketer that takes the time and effort needed to keep their skills up-to-date, a good choice would be someone who has received all three certifications from HubSpot. After all, inbound marketing is a fast-paced field, meaning that those who refuse to keep up will be left behind. While these certifications may not appear as acronyms on my business card and are no replacement for my Bachelor of Public Relations or Masters in Business Administration, they do demonstrate may commitment to Inbound Marketing and Hubspot. toward Facebook and Twitter, and while those are great for getting results, LinkedIn can garner even more results. Because it's not used as much for marketing, there is some confusion as to how to market on LinkedIn effectively. One of the biggest sources of confusion is the difference between 'Share an Update' and 'Publish a Post'. Generally, this is for used for short, simple messages. For example, if you wanted to share a link with a brief commentary, you would use this option. You can also upload photos here as well. When you do this, a thumbnail of the image will appear below the text box. This is the ideal option when you want to share relevant stories, video or photos with your connections. This option is for longer posts. Here you can put a couple of paragraphs, or even write a full blog post. It still shares your post with all of your connections when you publish, just like the share an update option does. It also sends a notification to all of your connections to notify them that you've published a new post. You can embed video and photos with this option as well. Generally, you only want to use the post option if you have more than a few sentences to share. Be careful that you are not sending too much, either via the share or the post feature, as your connections may get a little tired of hearing from you, even if you having something relevant to say. A longer post can be beneficial, though, to influence your followers and help get you viewed as an expert in your industry. The publish a post feature also has a few marketing advantages -- like a headline and the ability to TAG the post with relevant keywords. If you're not sure of what to post or how often, use the "Pulse" feature in LinkedIn, to follow posters and get an idea of their posting style and frequency. LinkedIn has the potential to catapult your business to the next level, if you understand the features and market properly. Don't ignore this invaluable resource. Ready to put LinkedIn to work for you? Download these free resources. Before there was inbound marketing, there was outbound marketing. The latter included cold calling, direct mail and email blasts but these repelled rather than attracted customers. So brands sought out to related to consumers in a meaningful way and that was by creating content that was relevant, accurate and interesting. In an era dominated by search engine use, pushing e-mails and messages the same old way will not cut it. 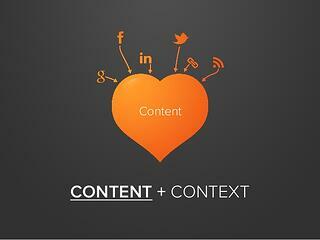 There are three critical components of inbound marketing. They are SEO, content and social media. 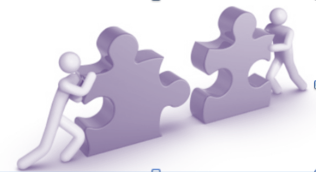 The three elements should be managed together as a comprehensive three-pronged approach. If well implemented, it can be very effective in drawing in customers. Search engine optimization or SEO coordinates content with on and off SEO. This is achieved using a number of different methods including image names, site maps, alt text, meta data, html tags and content. This is easier to implement with platforms that are compliant with Web 2.0 platforms such as WordPress. In putting out SEO content out there, it is important to realize that there are rules and regulations to be followed. Search engine giant Google leads and others follow so one must play by their rules. One reason Google stays at the top is because they go all out to ensure those who use their services only find relevant information. Overstuffing content with keywords can lead to a website getting penalized, including relegating such content to the bottom of the pile meaning browsers will never find it. Search engines thrive on content. The days of searching in the Yellow Pages are long gone; today, it's all about the internet. Being the website where browsers find the content they are looking for is what sets apart one website from another. Content must be relevant, current, easy to understand and interesting. Websites that often refresh their content often have higher rankings than those that don't. Things are always changing and content should be refreshed to reflect this. Content may be great but it it is old, it's not any good. It takes the form of blogs, articles, podcasts, e-books, videos, white papers, listings. This should then be promoted through online marketing campaigns, integrated branding, lead capture campaigns and website development. Social media tools have become the means people and businesses use to keep in touch and to share what is happening around them. Facebook, Tweeter, LinkedIn, YouTube and other social media tools are being used to reach people all over the world. Apart from unlimited reach, these tools are also ideal because they generate responses very quickly. A single tweet or Facebook posting can create a buzz very fast. These tools are also very inexpensive to use as a means of promoting a business and they give unlimited reach as they can be seen all around the world. Just having these accounts is not enough though. They need to be synchronized, optimized and used effectively in a strategy that will ensure that one garners and holds the attention of browser so that traffic is continuously generated. The focus should be on capturing and retaining the attention of potential customers through the social media that they frequently use. The three critical elements of inbound marketing should be viewed as a road map which if well laid out, will lead browsers to the intended destination of your website. There are 250 million websites worldwide and counting. These three elements must strategically be put to the best use possible to make your website stand out from all the others that competing for the attention of the same customers. 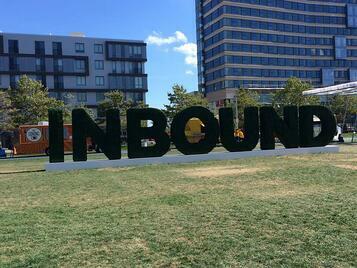 Ready to learn more about what Inbound Marketing can do for you? Running a successful small business is a dream for many individuals. The dream often involves visions of happy customers returning time and again and new customers streaming through the door. However, the reality often involves long hours spent over marketing plans and deciding on how best to reach continually elusive new customers. It is possible to reconcile these two images, however, and the key lies in automation. Far from taking control away from the small business owners, automated marketing improves their control over the business and the direction it takes. It also allows small business owners to free up much needed time to concentrate on other important aspects of their businesses by providing the right tools and support to ensure that business marketing efforts are reaching the right audience, at the right time, at the right place. As with any businesses marketing, automation starts with goals. Marketing automation services, such as those provided by HubSpot, take those goals and build upon them to nurture leads. The process involves more than just sending automated, yet personalised, emails to prospective customers; it also provides businesses with information and feedback, including internal notifications, lead scoring, and personalized website content. By having all of this processes running smoothly in the background, business owners are able to see the whole picture, rather than being bogged down in the small details. If the business owner has a good grasp on the goals, the customer segment, and the ever-changing world in which both the business and the customer are operating, then possibly automated marketing is enough on its own. However, no business can ever have too much support and having a guiding hand to support growing new campaigns, setting new goals, and redefining customer segments is a definite benefit. The key is to utilise services specialising in the areas where the small business owner may not have enough knowledge, or may not even realise are essential. Something as simple as providing a business with a presence audit, an in-depth look at how the business and its brand are perceived, can make a huge difference to customer retention. Simply automating existing marketing channels may not be enough to gain the most out of services such as those offered by HubSpot, but knowing which new channels to open into is a daunting task. Using too many, or too few, or worse still ignoring the one channel where the business audience segment is found, can make even an automated marketing service pointless. Knowing which channels, including social media platforms, email, blogs, and websites to use is crucial. However, it is not just about the audience, it is also about the business's budget, future goals, and time needed to investigate this thoroughly. Support in researching channels, the best times to publish content, and the best types of content to place is essential if the automated marketing workflow is to work effectively and cost-efficiently. Take the time to learn and increase business knowledge by taking on training opportunities and consider mentoring and partnership opportunities. Consider bringing on an expert who can guide the business through the planning and evaluation stages, and take advantage of full market automation services. Businesses vary in their support needs just as much as they vary in the goals and plans that are the basis of their marketing. Finding the support that understands this, and provides exactly what the business needs is always the first and most important step. It's never too late, or too early to ask for help! Think you could benefit from Marketing Support? Let’s start the conversation. Last month, I spent several days learning the latest features an d product upgrades from Hubspot. I also heard countless case studies and tips on how to put this powerful tool to work for my business and my clients’ businesses. 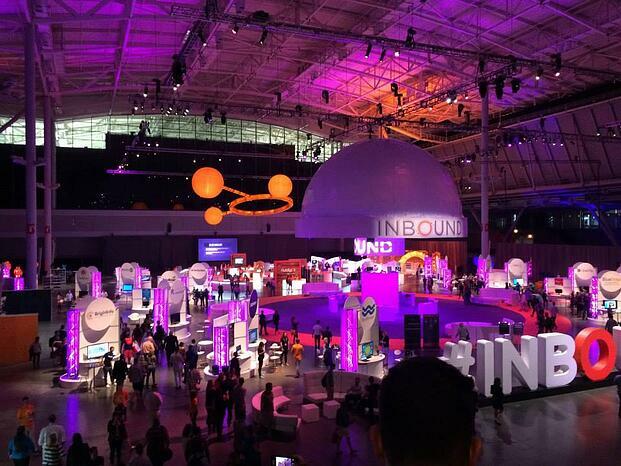 Inbound15 was amazing! I felt inspired, motivated, and equipped to do even more effective marketing this year. I have literally pages of notes, folders of downloads, and several action items on my to-do list. While I am confident I will get to them all, I am focused on several high-level observations I made at Inbound - and how those observations will impact the marketing that I do. The biggest paradigm change for me was this: there is something Hubspot supports better than marketing! Any marketing department can benefit from using Hubspot, but it is the sales team who stands to gain the most benefit from Hubspot. I struggled with this statement. 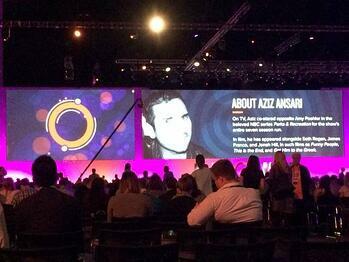 On one hand, I couldn’t agree more - and yet I want Hubspot to be all about Marketing. I think there is a sentiment by marketers that marketing is sexier - and I am guilty of subscribing to this thought as well. When I finished my degree, I wanted a marketing position. Finding marketing positions few and far between, I started my career in sales. I felt my sales position just wasn’t as cool as a marketing position. Today I know any strong business leader appreciates that the sales team is the lifeblood of an organization. In tough times, marketing budgets are often cut, but not so in sales—wise leaders know they need their sales team out there to bring in the new contract. Despite my early perceptions of my sales position, I thrived in sales. I learned how to really listen to prospects, I learned you get a lot of “nos” for every “yes”, and that persistence and trust is what really closes the sale. It’s hard to put yourself out there in sales, but I believe more marketers should get close to the prospects and spend time with the sales team. In fact, running a small business and working for many small businesses, I know marketing and sales have to get close – and for these small businesses they are often one in the same. Hubspot gets the necessity of sales and marketing working in tandem. As the top Inbound Marketing software, Hubspot knows that in growing organizations sales and marketing align and work together. I love the way that Hubspot is a cutting edge marketing tool AND a sales tool - and their technology and teaching marry these two growth catalysts that every organization needs to thrive and grow. While sales and marketing are like cousins or siblings, a true professional knows there is differences in the skill set required to be an excellent sale professional or marketer. Sales and Marketing professionals also tend to be quite passionate about their chosen profession, having more strength in one field. With Hubspot supporting both sales and marketing so well, it is the ideal tool to bridge the gap and to support the weaker side. The marketing who isn’t as strong in sales will love the built-in tools that support sales and the vice versa. If you think Hubspot is a marketing tool only, think again. Start learning about how sales teams are benefiting from this amazing tool as well. 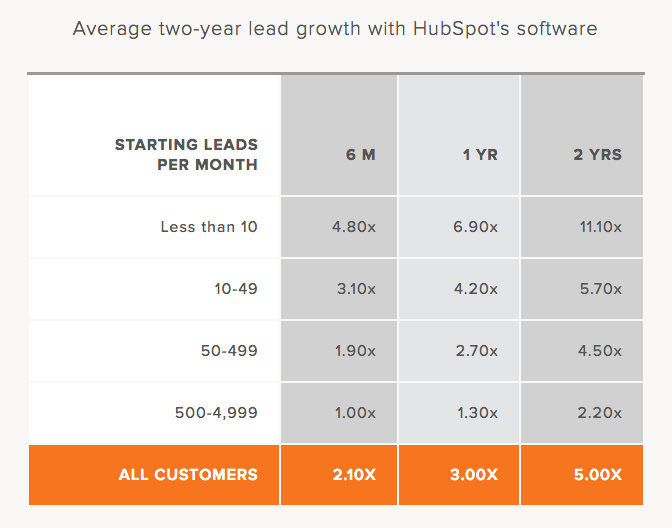 Ready to put Hubspot to work for you and for your sales and marketing team? Did you know we offer a Free Inbound Marketing Assessment. ?